ResearchMoz presents this most up-to-date research on Hydrogen and Fuel Cells 2015-2025: Forecasts, Technologies, Markets. Conergy put into motion a product-stocking program over the past few months that provides its customers with tariff-free modules at very competitive pricing. The program also created a warehousing program that does not burden customers with additional cash constraints. The Conext CL meets the needs of a wide range of customer needs and is the ideal solution for commercial buildings, carports and decentralized power plants. SolarCity(R) (Nasdaq:SCTY) and REC Group, traded under the company name REC Solar ASA (Oslo:RECSOL), a leading global provider of energy solutions, today announced a supply agreement under which SolarCity will purchase a minimum of 100 MW and up to 240 MW of REC's high quality, high-performing Peak Energy solar panels during a 12 month period beginning in Q4 2014. 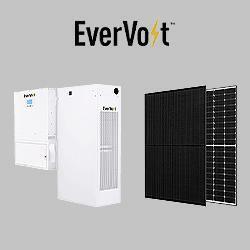 Intersolar 2014 - Goodbye to series connection - does this mark a revolution in battery technology? International service group T�V S�D has certified a solar park operated by Green Vision Seven SRL at the Romanian town of Ucea de Sus. The new photovoltaic power station is among the largest in Romania, with a nominal power rating of 55 MWp. The certificate was presented at Intersolar Europe 2014. In 2013, the total solar thermal installed capacity grew by 1.75 GWth, while the newly installed capacity decreased by 11.8%. Most markets were affected by the overall downturn, yearning for effective and stable support policies. Intersolar Europe, the world's largest exhibition for the solar industry and its partners, pays tribute to the solar industry's innovative strength for the seventh time.